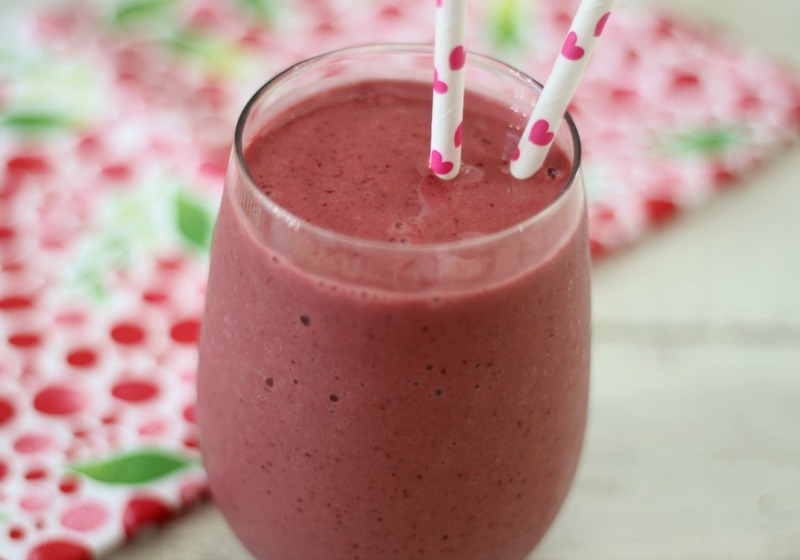 Happy Smoothie Monday! Today I have the perfect spring time drink that will have your taste buds dancing. Don’t you just love dancing taste buds? 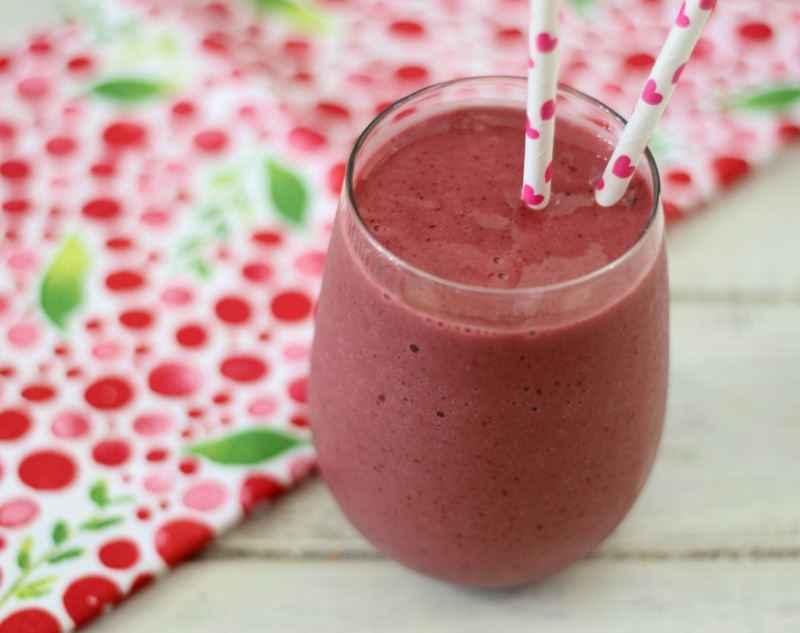 So let me introduce to you today’s smoothie, drum roll please…. This is my Very Cherry Smoothie! And oh my gosh, delicious!!!! 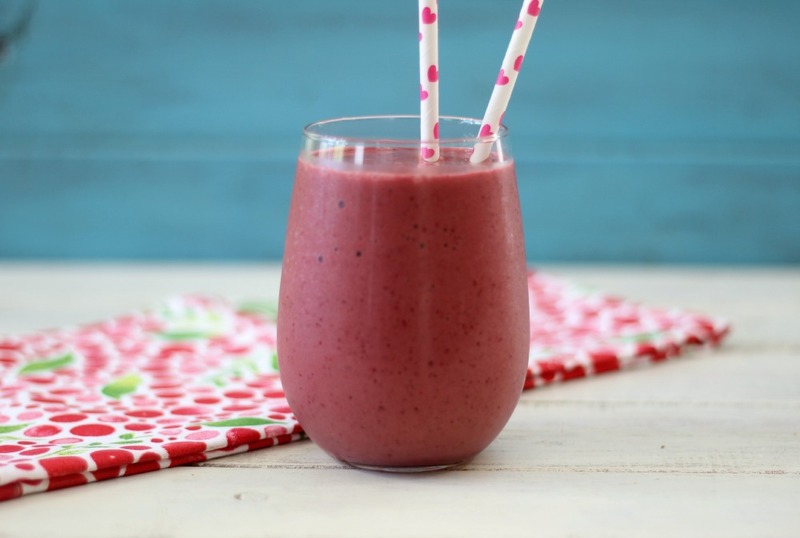 This smoothie is sweet, thick, refreshing and has the perfect balance of sweet cherries with a hint of banana. This is truly a wonderful smoothie. To add a kick of protein to it, I added some greek yogurt and to give it a super cherry taste I added all natural cherry juice that I bought at Trader Joe’s. Now of course I used real cherries in the recipe too, after all you need real cherries in order to have a cherry smoothie. Oddly enough I made this smoothie on Easter morning. We didn’t do Easter baskets or anything, so we just had smoothies and enjoyed the warm spring weather. For dinner we did BBQ. I know Easter and BBQ. Yup! After all it was just my Husband and I, so we didn’t do anything special, we just made what we like. The holidays are hard when you don’t have family near you. 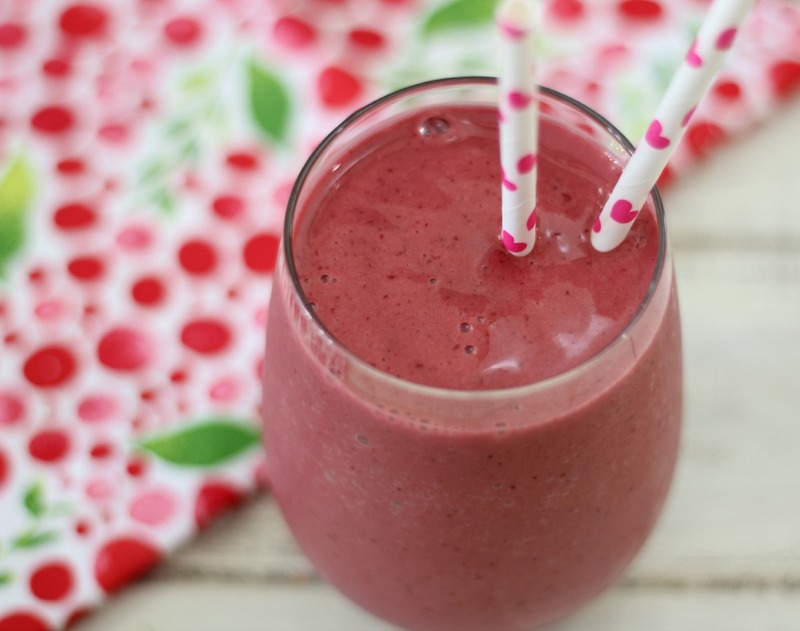 This smoothie gets me so excited for cherry season. That should be in the next month or two! I can’t wait! I just love cherry picking!!! P.S. 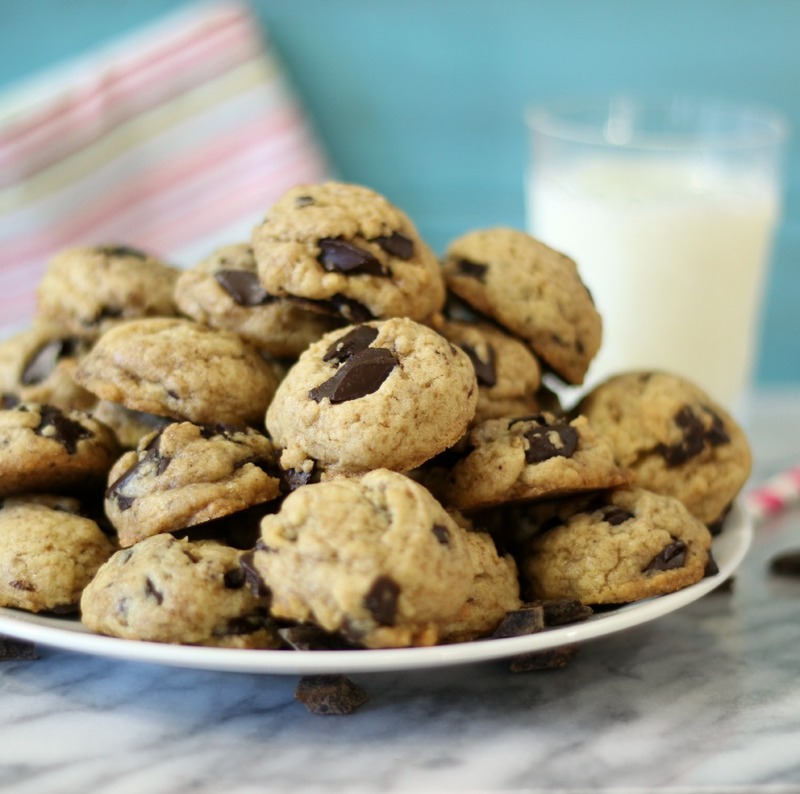 I wanted to let you know that I am in a virtual bake sale for a charity auction with Joanne from Eats Well with Others, along with some other fabulous bloggers. Joanne is running an endurance event with Team in Training, through which I raise money for the Leukemia and Lymphoma Society. Especially with recent budget cuts at the NIH, the funding of clinical trials and scientific research is increasingly dependent on private non-profit organizations, such as the Leukemia and Lymphoma Society, so raising money is definitely important if we are ever going to find a cure! The bake sale will run from Monday April 21st through Wednesday April 23rd. I want this so bad even if I am allergic to cherries! Oh no, allergic to cherries, that’s horrible! I am so sorry! I just love cherries! Next time I have frozen cherries I must try making smoothie. Try adding a tablespoon of raw organic cacao powder: voilà, cherry chocolate smoothie! Tastes so decadent, but it’s so superfood good for you. Great idea! I have cocao powder too! Going to try that next time!